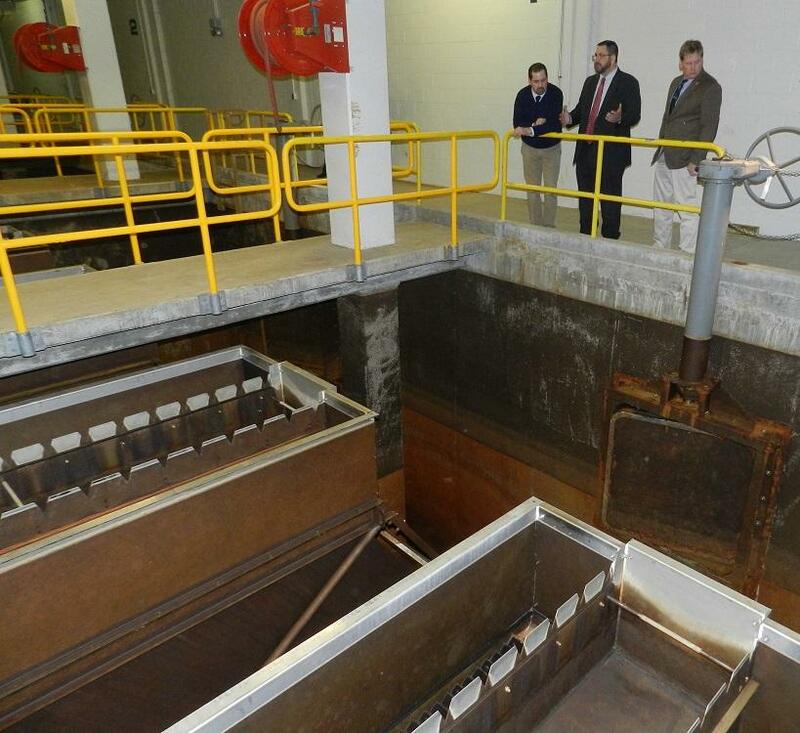 Inside Flint's water treatment plant. This week the U.S. Environmental Protection Agency outlined a number of concerns in a letter to Flint and Michigan’s Department of Environmental Quality. Those have to do with the city’s comprehensive plan to prevent lead from leaching into drinking water and “inadequate number of qualified personnel” at the city’s water department. This is the second time the EPA has warned that not enough progress is being made on the agency's emergency order first issued in late January. The city is working to hire a Director of Public Works position, four Water Plant Operator positions, ten Water Distribution System Operators and two Lab Technicians. A new Water Plant Supervisor was hired this week and finalists were selected for the Director of Public Works position, according to a city spokeswoman. “During our March 24 meeting, EPA learned that the City has to re-post job openings for four Water Plant Operators because none of the people that previously applied remain interested,” EPA Water Enforcement Division Director Mark Pollins wrote. “EPA stresses the importance of hiring to be done expeditiously,” he said. The letter notes that the EPA expects the positions to be filled no later than the beginning of June. The other main issue the EPA raises has to do with Flint’s corrosion control treatment plan. The city is adding orthophosphate to the water. That’s the chemical that coats pipes and plumbing to help prevent lead and other metals from leaching into drinking water. The city is also adding residual chlorine, to kill bacteria in the water. The EPA raises two other concerns in this letter; the accuracy of Flint’s records of lead service lines and historical sampling data for lead in water. The EPA is looking for a complete inventory of where lead service lines are in Flint. Flint submitted an updated inventory, but the EPA notes “we believe all parties recognize that the inventory is not representative of the true LSL inventory” in the city. UM-Flint estimated there are at least 4,000 lead service lines in Flint, but another 11,000 lines that are made of an “unknown” material. “Additionally, it is obvious to EPA that some of the previously identified ‘known’ LSLs are incorrectly identified,” the letter says. The EPA wants the city to verify all of these records. That step is “crucial” to develop a plan to replace lead service lines, the EPA says. It’s also an important step to figuring out if corrosion control treatment is working. The EPA says the state and the city still haven’t provided all lead in water testing results that the agency has asked for. They want all data going back to January 2013, even samples that were invalidated or those that were not used to figure out, officially, if Flint was in compliance with the Lead and Copper Rule. The city and state have provided data, but the EPA says it knows it hasn’t gotten all of it because the data submitted does not include, for example, two high lead samples that the state invalidated in 2015. “Mayor Weaver agrees that maintaining a plan to ensure the proper level of corrosion control is in place at all times is essential to prevent any lead, or other harmful chemicals, from leaching into the water flowing to residents homes. She and her team continue to work to get the lead out of Flint, including the removal of all lead service lines and other potential sources of lead,” Flint spokeswoman Kristin Moore wrote in an email. This week the Flint Water Advisory Task Force released its 116-page report. Although Gov. Snyder appointed the task force, he and his administration were not spared in its frank findings. The U.S. Environmental Protection Agency says there’s still work to be done to ensure clean drinking water in Flint. In a letter to state and city officials today, the agency laid out “two significant issues that need immediate attention” as it relates to complying with an emergency order the EPA issued on Jan. 21.